PostgreSQL Meltdown: What's The Effect on Performance? How have the fixes for the recent Spectre and Meltdown CPU vulnerabilities affected Postgres performance? This first look suggests about a 7% performance hit. Auto-discovers tables, columns, relations, procedures and more, then runs a high-performance secure GraphQL API server that adheres to best practices. Join a diverse class of over 700 hundred Postgres professionals from around the world for the the preeminent “People, Postgres and Data” experience. No tuning equals below par performance. But which parameters to tune? 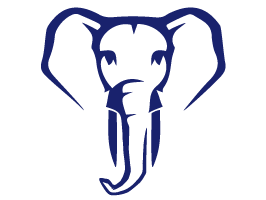 This talk looks at the performance advantages of appropriately tuning your postgresql.conf file. Indexes are pretty easy to add and should speed up query performance, except sometimes it's more complicated. This deep dive is a great look at analyzing query and index perf. pg_hexedit makes it possible to edit Postgres relation files from a hex editor. In this post, learn about Postgres’ internal tables and use Python to build your own description dictionary from scratch.